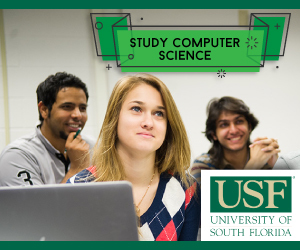 Mobile development is an increasingly popular option for computer science students. The near universal presence of smartphones, the ease with which one can develop for smartphone platforms, and the saleability of developed applications makes mobile development a lucrative field for international students in the United States. This article offers an overview of mobile development, as well as some insight for international students hoping to get started in the burgeoning field. For many individuals, smartphones are more than just a communication device – they have become indispensable parts of everyday life. Whether it be calls, texts, sending and receiving e-mail, playing games, browsing the web, tracking nutrition, or scheduling important dates, smartphones have become an all-in-one device – thanks to the development of applications. Applications are at the heart of both the popularity and utility of smartphones, making mobile development an increasingly lucrative field for international students with computer science skills. This article will briefly explain what mobile development is, why it is a great avenue for international students interested in computer science, how to study mobile development, and give some examples of platforms with which mobile developers would be working (i.e. Android™ development, and iOS™ development). Many international students with computer science and programming backgrounds will already possess the skills required to dive into mobile development. Most of the tools needed for mobile development are free and can be used to make a salable program. Mobile development can be pursued by a team as small as a single individual, making it great for international students juggling a class schedule. Therefore, the ease with which international students with knowledge of programming languages can use their skills to develop ideas into applications, combined with the low to almost non-existent overhead of the endeavor, makes mobile development a great and lucrative option for gaining experience as a freelance developer. iOS™ development (for Apple devices) utilizes the less universal Obective-C and Object Pascal programming languages. Developers can freely acquire the SDK (software development kit) for iOS, however, uploading developed applications to the Apple marketplace can only be done after purchasing a developer's license for an annual fee of $99. Additionally, Apple imposes a set minimum price for the application (above which the developer can charge any amount), and they retain 30% of the revenue generated by sales of the application. One of the reasons developing apps for Android™-based devices is so popular is that Android™ development is not only often free, but runs on the core programming languages with which many developers will already be familiar. Therefore, an international student with a knowledge of Java and C/C++ could, free of charge, use Eclipse, the most popular Android™ development environment, to create an application for Android™-based devices that the international student could then upload – again, for free – to the Google Play™ marketplace to be purchased or freely downloaded (in the case of free applications) by users. The combination of employing nearly universally-known programming languages within a low-cost infrastructure makes Android™ development a popular and accessible option for international students to try their hands at freelance development.